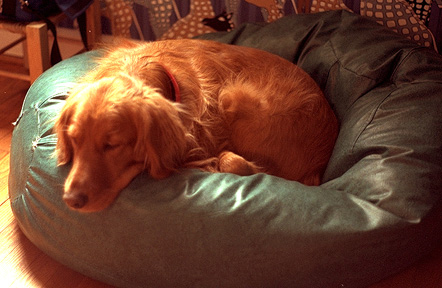 Beanbag chair in Bethesda, MD, 1982. 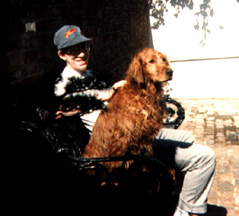 Fall '83, chasing seagulls and crabs in Easton, MD. 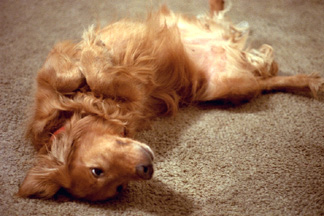 Happy days lounging in Bethesda, '85. 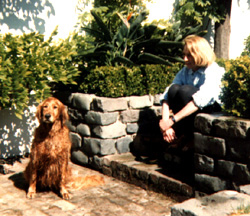 Summer visit in San Francisco, taking turns waiting for Sandy to dry for the trip back to Baltimore, '87. 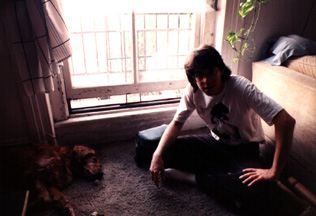 With squeeky mouse in MICA apartment, Baltimore, '88. In Baltimore catching a breeze, '91. 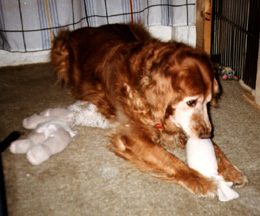 Playing with a sock toy and headless doll, '92. 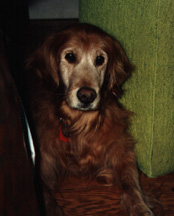 Sandy reflects in the approaching morning sunbeam; the move to CA,'92. 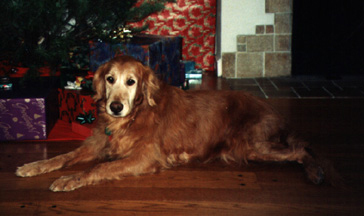 First X-mas at Tuller Street in CA, '92. 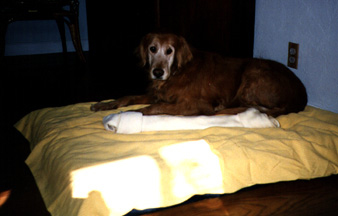 Sandy with her new bed and HUGE bone (which she never finished). 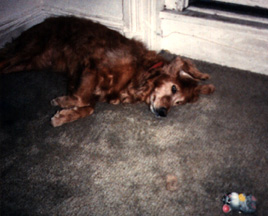 Using a toy for a pillow, '93. 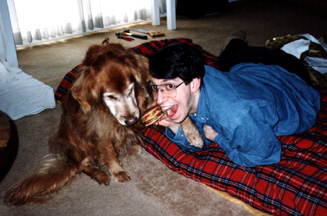 Tricks with a squeeky hamburger; X-mas at Carlston Street, '93. 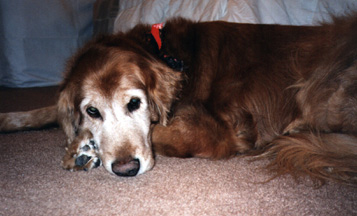 Mom's new house, with a yard to lounge in, 4/97. 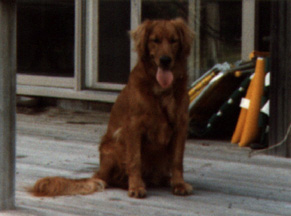 Ramsay, Sandy born December 2, 1981; was laid to rest on September 22, 1997.
always happy... always eating, always there. 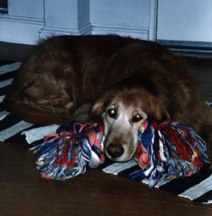 We will miss you Sandy. are registered trademarks of David Ramsay, 1999~2001.